Improved resistance to wall erosion and refractory qualities, maximum temp of 2,250°F. Multi-purpose use and designed for many melts. Composite of Alumina, Silica and fire clay. Maximum temp of 2400°F. The Colorado Blend clay crucible has a higher thermal shock rating, and will generally have a longer life in assaying applications. The Assay Crucibles feature the standard clay blend and the Colorado Blend of clay crucible. Both are for working temperatures up to 2,000° F. The standard clay crucible is designed to give suitable use under standard operating conditions. Currently, 40 gram and 30 gram are the primary size crucibles used for fire assaying. All assay crucibles will give good service at temperatures up to 2,000° F (1,093° C). 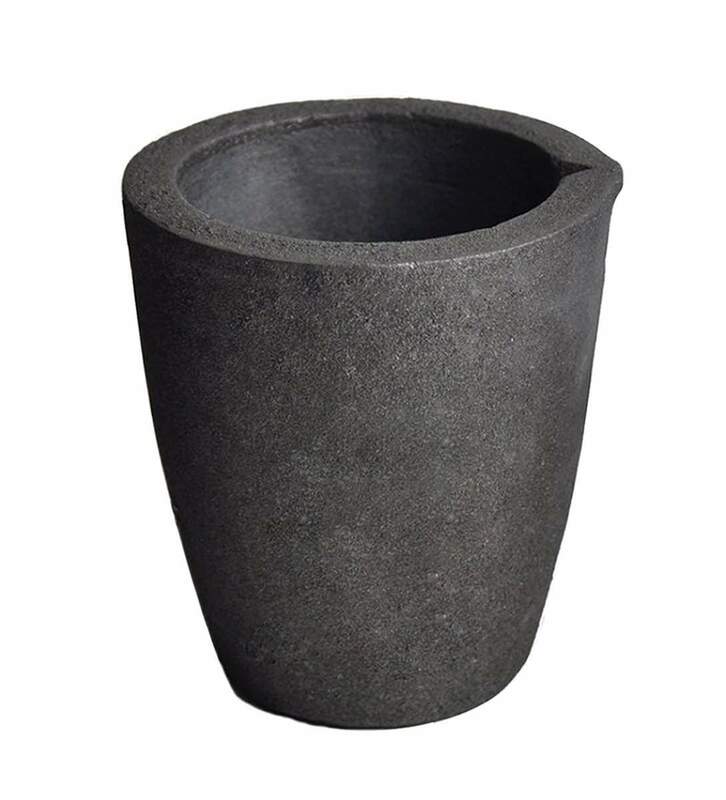 Clay graphite crucibles are primarily used in melting operations, and are suitable for use up to 3,050°F. 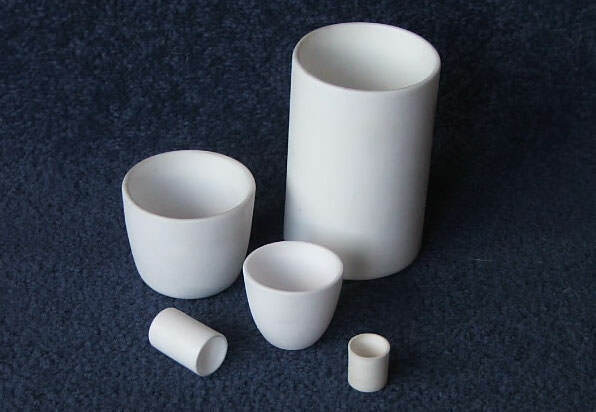 Clay graphite represent a good value, have excellent thermal shock properties, and are generally the choice for melting precious metals in melting furnaces. This series is the small capacity crucibles for melting small quantities in laboratory size furnaces. Below are general dimensions and capacities.